I shot off some questions this morning to city councilors about City Link contracts with some of their NON City employee on-air personalities. 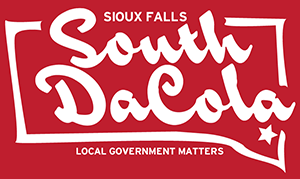 The Q & A Below with my thoughts, with answers from Jason Reisdorfer Director of Innovation & Technology with the City of Sioux Falls. I would like to thank Jason for getting back to me in a timely manner. Q: I noticed the city will be paying Pinny Consulting (Michele Wellman) a FLAT fee of $10,000 a year for her assistance (I’m assuming) with the 25 minute, once a month, city link show ‘City Scene’. I’m wondering if I can see a break down of her charges and how she came up with this ‘Flat Fee’ and what she all does for that, and how much time she spends per month on her services for the city. A: This is incorrect, it’s not a FLAT $10,000 per year. The contract MAXIMUM is $10,000. Our agreement with Michelle is $50/hour, with a max of $500/month. She rarely charges us more than $250/episode. Year-to-date through 12/17, we’ve paid her $2750 for 11 episodes. MY THOTS: While $50 per/hr is a pretty reasonable rate, I’m not quite sure she spends 5 hours a month on the episodes, when her last appearance on the show lasted a total of about 90 seconds. Q: I’m also wondering if we have a similar contract with Madeline Shields who hosts the once a month, 25 minute show, Inside Townhall on city link, and what that contract looks like. A: Madeline’s contract is a flat $200/episode. MY THOTS: Madeline also does a pre-game with her guests usually over the phone, in an email and before the show. She also prepares questions for the show and moderates it. Q: I’m also wondering what the contract looked like with Jolene Loetscher who was the last host of ‘City Scene’. A: Jolene received a flat $500/month, which included pre-production meetings & other production services. MY THOTS: I also believe Jolene did the full production of the show, because it seemed more polished to me than a normal City Link production. Q: And since full time Staffers Colleen Moran and Reid Holsen also host shows on City Link, I’m wondering if they get an extra stipend for those duties? A: Neither Reid, nor Colleen receive additional Stipends. (Nor do any city employees that I’m aware of). This would fit under the ‘other duties as assigned’ as part of their job descriptions. MY THOTS: This final answer proves my point completely, with a very capable staff at City Link, why are we using OUTSIDE, Non-City employees to produce these shows (at an extra cost)? The on-air personality can be anyone, it could even be a voice over on the City Scene show and Council Operations Manager Jim David could easily host the Inside Town Hall show. This is publicly funded media, and needs be done in the most professional and fiscally responsible manner. Use city staff. 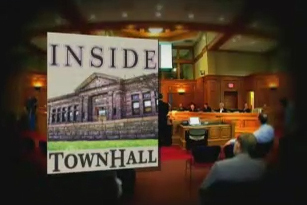 Friday afternoon I noticed that a new episode of Inside Town Hall appeared on the City of Sioux Falls You Tube page. It was the normal setup. City councilor Kiley had on the Director of 911, Matt Burns (SFPD) and the chief of the fire department to talk about their working relationships. The one thing I noticed when I started viewing the video was that it was 44 minutes long (most episodes are 30 minutes). While there was nothing revealing in the show itself, right at the 30 minute mark it went into a 14 minute (muted) video of the building collapse rescue efforts. There were several breaks in the video and it looked professionally shot, at one point it seemed also a drone was used (or shot from a fire truck ladder). I gathered that this video was probably shot by City Link crew. While I commend them for doing this, it also got me thinking about a lot of other angles. • What did it cost to have a city film crew on site for that long? • While we won’t film parks board meetings, somehow the city found it necessary to film this event? • Why would the city not do an investigation when they had this kind of crucial footage, which included them marking the cracks in PAVE’s wall, a crane holding up the wall, and pulling away the damaged car? • Was the footage turned over to the insurance companies and OSHA? 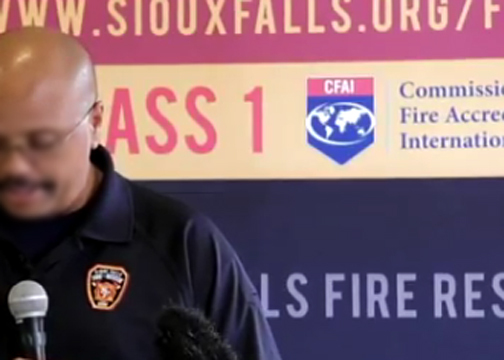 • Why shoot this video (which included the rescue of the apartment dweller being pulled from the wreckage) when we don’t send a film crew to every fire rescue event? • Were they planning on using this video as some kind of propaganda? • And lastly, why was this posted to YouTube and now has disappeared from the site? After watching the video, I talked openly about watching it to a group of friends at Drinking Liberally Friday night at the Taphouse. Did someone in the group (or near the table) report this back to the city? It’s funny how transparency works in this town. Will CityLink & SIRE go live streaming? 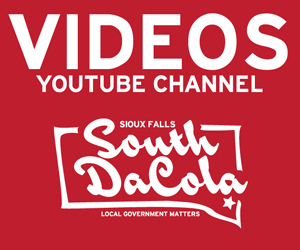 I heard the Director of Central Services sent out a memo last week that the city of Sioux Falls is considering going live streaming on all city meetings (that are recorded) and CityLink programming within 4-6 weeks. Hey, that’s great if it is true! But, why was SIRE changed to only work in Microsoft Explorer if these changes are coming in the near future, why not just leave it ‘as is’ until that time comes? I have been watching it on the AL site VIA Citylink. So Citylink is successfully recording it, but SIRE is not? I have often wondered why they just don’t LIVE stream Citylink online, and secondly, why they can’t fix SIRE once and for all? I was Councilor Staggers guest for the first segment of ‘Inside Town Hall’ for the May edition. We talked about the upcoming vote on snowgates, how they work, and the petition drive. Stehly was supposed to do the show, but had a conflicting appointment. It should start airing on CityLink on Monday or Tuesday. Not sure when it will be online. So what is the SF City Council’s opinion on the two-question rule? 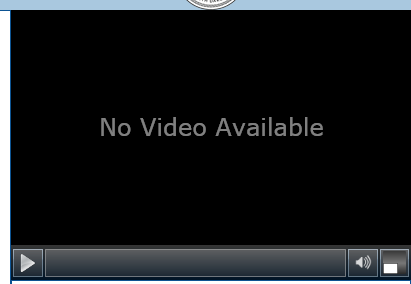 I noticed on Tuesday that the informational meeting stopped it’s (internet) feed at about 15 minutes into the meeting, and I have noticed that it is not available on the city website. I don’t contact the clerk’s office about this stuff anymore, because they just ignore me (gee I wonder why). But citizens pay dearly for this service, and it needs to start working. Enough of the glitches and excuses. I often find it ironic these ‘glitches’ occur during controversial topics. I hope that this is not a coincidence. Actually, I don’t think this is coincidence. I used to blame it on incompetence, but not anymore. Why? • I have complained to the clerk’s office and city councilors about the video feed missing several times in the past. • How can Channel 16 televise these meetings with no problem, but that same taped meeting cannot be streamed online immediately? • How can a meeting be missing for several days or even weeks then suddenly show up? Where was the archive hiding? • If the company we hired to handle the online videos, SIRE, is responsible for these problems, they either need to be fired or they need to give taxpayers a refund. They are not providing a service to us properly. I thoroughly understand that issues can occur with the great internets. But the clerk’s office has had plenty of time to fix this issue with no avail. 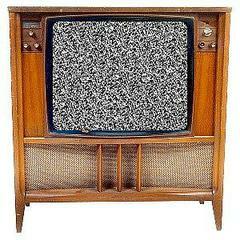 An assistant city clerk advised me once to watch the meeting on Channel 16. First off, I don’t have cable, and secondly that is not the solution. 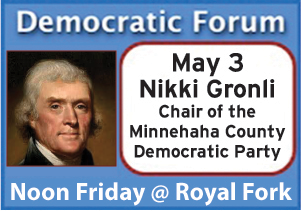 Citizens should be able to access these meetings anytime they want to. I also find it very strange these ‘glitches’ occur whenever there is a controversial topic. I’m sure the meeting will ‘magically’ show up today after city employees have their morning reading of the DaCola, but it shouldn’t work this way. A blogger shouldn’t have to piss and moan about this week after week. 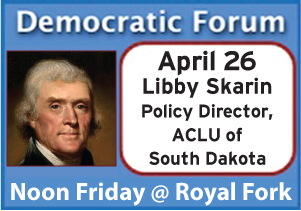 We have $180 million for a new events center and hundreds of thousands of dollars for spray parks and monkey spas, we should have money allocated for transparency and public access to information. Cutting $5 Million from a $412 Million dollar budget would have been a snap. But Councilor Litz doesn’t think so. Listen to the discussion between Staggers and Litz on the Sales Tax decrease initiative. Litz also believes government knows how to spend your money better then you do. He says to keep the town growing. I think he has been locked up in Munson’s bullet proof closet for too long. Council Members Kermit Staggers and Bob Litz: Citizen Initiative Reducing the Sales Tax and Shape Sioux Falls. Council Members Litz and Staggers discuss the 2nd penny sales tax and other topics.